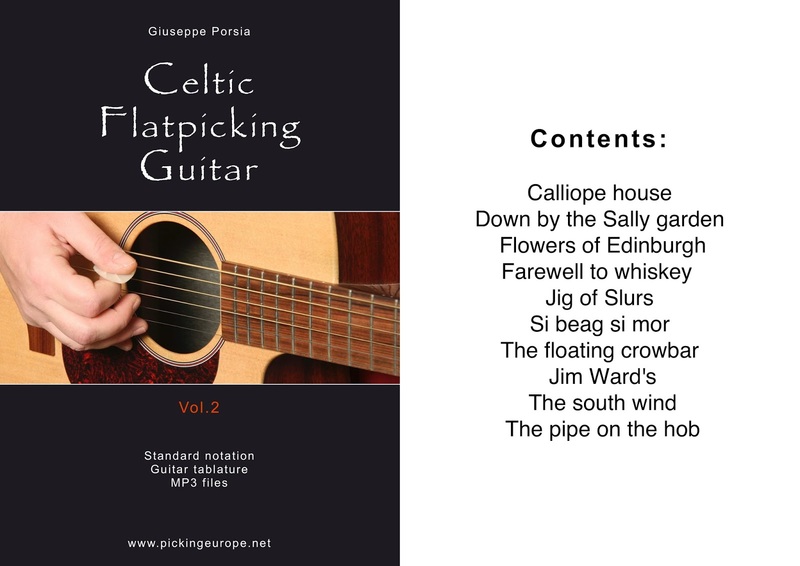 An Irish Jig adapted for flatpicking guitar in"Drop D" Tuning. You can download the free mp3 in the "free mp3" page of the site and buy the related guitar tablature in the "Single tabs shop" page of the site. You can download the free Mandolin tablature in the "Irish mandolin tab" page of the site. The slip jig "The snowy path" played on an epiphone mandolin. Collection of 10 tunes adapted for flatpicking guitar in "Drop D" tuning. Guitar tablature, standard notation and didactic Mp3 files. You can buy the E book In the "Books shop" page of the site. "G. Porsia" P.Iva:05680290722. Picture Window theme. Powered by Blogger.